We’d love your help. 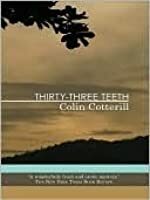 Let us know what’s wrong with this preview of Thirty-Three Teeth by Colin Cotterill. 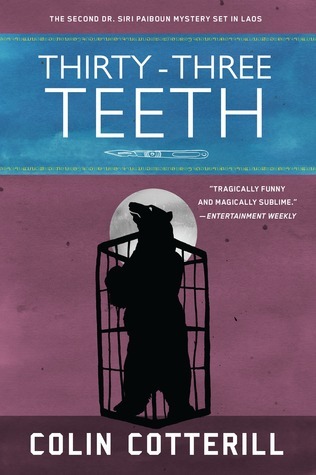 To ask other readers questions about Thirty-Three Teeth, please sign up. The second installment in the mystery series featuring Dr. Siri, my favorite coroner and host of an ancient Hmong shaman's spirit. While it contains the ingredients that make the series great, there are several stumbles that make this book more of a leftover noodle soup--a nice accompaniment to a meal but not enough for a feast. In the beginning, several sidewinding storylines provided a great deal of pleasure. In Vientiane, two disparate bodies found with a badly damaged bicycle send the team of The second installment in the mystery series featuring Dr. Siri, my favorite coroner and host of an ancient Hmong shaman's spirit. While it contains the ingredients that make the series great, there are several stumbles that make this book more of a leftover noodle soup--a nice accompaniment to a meal but not enough for a feast. In the beginning, several sidewinding storylines provided a great deal of pleasure. In Vientiane, two disparate bodies found with a badly damaged bicycle send the team of Siri, Dtui and Phosy to the Ministry of Sport, Information and Culture, initiating one of the spirit mysteries of the book and providing opportunity to comment on bureaucracy under communism. Before they are able to investigate fully, they are challenged by another death which appears to be an animal mauling. Unfortunately, shortly after the cases are begun, Siri is sent away on business by Judge H. The royal capital has two badly burned corpses and needs to discover their nationality. Siri's trip to the royal capital was delightful on many levels. We glimpse into Siri's upbringing, watch as he investigates the two burn victims and applaud as he attends a political meeting for shamans that is truly guffaw-worthy. 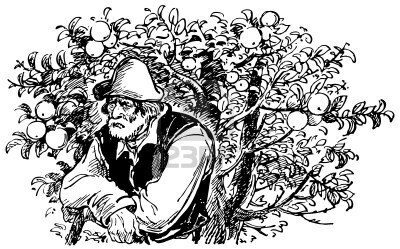 There's also a lovely piece involving a special orchard, some terrible wine, a gardener and a cricket. 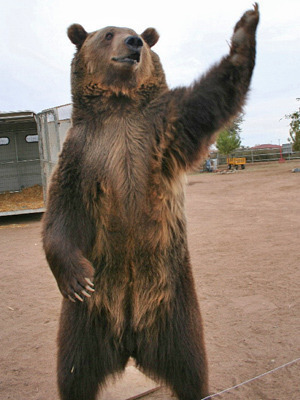 At the instigation of Siri's friend Civilai, Dtui takes matters into her own hands and visits a Russian animal trainer for more information on animal attacks. While I welcomed the opportunity to see Dtui in action, it did strike me that she was a strangely modern feminist for a 1970s Laotian who hasn't ever left the country. I found myself distracted from the storyline, wondering how real she could be as a character, and if she was supposed to instead serve as an identifier for the modern reader. For me, a significant part of the shortcomings were structural: it seemed a little more disjointed and a little less tightly woven than the first in the series. There's narrative jumping, both with dream/vision sequences and changes in narrative voice, as well as time jumping. For the first time, narration from some of the victims is provided at their death scene, and not by spiritual visitation. It's a technique that doesn't work as well with the general tone of the book, lending itself more to horror than the wistful spiritual sadness we've seen before. While it was likely intended to build suspense, the result was more puzzlement than anticipation. In one section, Siri secretly buries a blanket-wrapped bundle in the backyard. It's a seemingly insignificant moment, without explanation or context, that it starts when he and the bundle suddenly appear on his bike and ends shortly after with the burial. Some chapters later, Siri thinks of the bundle in the midst of a conversation and makes a mental note that explains the bundle. There's a number of similar scenes, and I found the style more puzzling than insightful. As always, I thoroughly loved the touches of humor threading through the book. Supporting characters have their moments to shine as well, particularly when Dtui fends off an animal trainer. 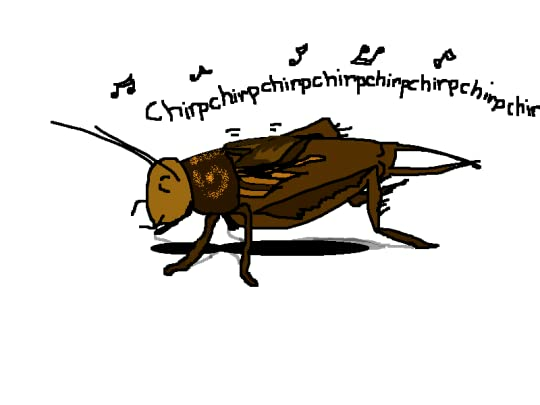 Phosy as well: "They sat together on the lip of the fountain, Phosy binding the wound, Rajid going through his impressive repertoire of amphibian impersonations." The crimes are a little more brutal in this book, and the political commentary more judgemental. "So there it was in a nutshell. Poverty lead him to religion, religion to education, education to lust, lust to communism. And communism had brought him back full circle to poverty." At a gathering of shamans, "it was all most sociable, but terribly un-socialist." Ultimately, I was very disappointed in the reveal at the end. (view spoiler)[ The death of a dog seemed particularly spiteful, and it was unclear what the purpose was, except perhaps to integrate another ghost element. The underground tunnel scene with a deranged serial murderer has more of a thriller feel to me, going for cheap scares over true tension, and it felt incongruous with the world Cotterill has developed. (hide spoiler)] Nonetheless, I consider this book an exception to a generally enjoyable series. Four stars for the beginning, three for the end. Dr. Siri Paiboun is now 72 years old. Through no fault of his own, he is one of the last real medical doctors within Laos. The socialist/communist government (after the Pathet Lao takeover) has not been a welcoming place for those with such skills. Yet, people still die under suspicious circumstances and the country needs at least one forensic medical examiner. When the previous one passed on, they came to Siri and he had little choice. In this second book in the series, he has settled into his j Dr. Siri Paiboun is now 72 years old. Through no fault of his own, he is one of the last real medical doctors within Laos. The socialist/communist government (after the Pathet Lao takeover) has not been a welcoming place for those with such skills. Yet, people still die under suspicious circumstances and the country needs at least one forensic medical examiner. When the previous one passed on, they came to Siri and he had little choice. In this second book in the series, he has settled into his job with his two assistants who also get little respect. The other “regulars” are also around including Phosy and Civlai. They are confronted by several intriguing challenges including the future of the royal family (in a Communist regime) and a bear on the loose in Vientiane. Three characters are introduced who have major impacts on the plot: Mr. Soth, Mr. Intharnet, and Tiki. Are they crazy? Are they a threat? I will say no more to avoid spoiling the plot. This is both a mystical mystery and thriller. Cotterill handles all of this very well, but what has engaged me most in these stories is the mystical aspect. Thirty Three Teeth provides a heaping plate of that. Is Siri the reincarnation of Yeh Ming? If so, what does that mean? How do thirty-three teeth make a difference? What is the role of a very old elephant? And what lies within a trunk bearing the royal seal? All is revealed in an engaging and entertaining second book in Cotterill’s growing casebook of Dr. Siri Paiboun. Thirty-Three Teeth is the second book in the Dr. Siri Paiboun about a 72 year old coroner in the 70's era in Laos. The last coroner swam across the river in Thailand when the new government came in so Dr. Siri was chosen for the position. He had hoped to be retired. I really was taken with the first book The Coroner's Lunch so I was eager to continue the series. I enjoyed this book but not as much as the first book. One reason is there is more mystical or supernatural element in this book. A pow Thirty-Three Teeth is the second book in the Dr. Siri Paiboun about a 72 year old coroner in the 70's era in Laos. The last coroner swam across the river in Thailand when the new government came in so Dr. Siri was chosen for the position. He had hoped to be retired. I really was taken with the first book The Coroner's Lunch so I was eager to continue the series. I enjoyed this book but not as much as the first book. One reason is there is more mystical or supernatural element in this book. A powerful shaman from 1070 has chosen Dr. Siri's body to dwell in. It seemed a little disjointed to me too. Sometimes the skills to win a revolution are devoid a good government skills. This review has been hidden because it contains spoilers. To view it, click here. Thirty-Three Teeth is the second installment in the Siri Paiboun series. Dr. Paiboun and his coterie remain as engaging as ever, and while there's a savage, serial murderer loose in Vientiane, the bulk of the novel is more concerned with Siri's efforts to cope with the fact that he's the reincarnated soul of a thousand-year-old shaman, Yeh Ming. Even though the spirits of the dead continue to help Dr. Paiboun solve his cases, those who wish can still rationalize it away as Siri's subconscious wor Thirty-Three Teeth is the second installment in the Siri Paiboun series. Dr. Paiboun and his coterie remain as engaging as ever, and while there's a savage, serial murderer loose in Vientiane, the bulk of the novel is more concerned with Siri's efforts to cope with the fact that he's the reincarnated soul of a thousand-year-old shaman, Yeh Ming. First Sentence: The neon hammer and sickle buzzed and flickered into life over the night club of the Lan Xang Hotel. Dr. Siri Paiboun, the 72-year-old coroner for Laos, is being kept busy by both the spirit and human world. An old black mountain bear has escaped its cage but is it responsible for the bodies who’ve been mauled? The burned bodies of two men have been found. Siri is summoned to the area of his birth in an effort to identify them. A man working in the Department of archives jumped to First Sentence: The neon hammer and sickle buzzed and flickered into life over the night club of the Lan Xang Hotel. A man working in the Department of archives jumped to his death from a room containing a chest bearing the Royal Seal. Siri, the re-embodiment of the 1050 shaman, Yeh Ming, recognizes the box is inhabited by powerful spirits and he must find the proper way of dealing with it. It is 107 degrees in Vietiane, Laos where the standard greeting and response has become, “Hot, isn’t it.” “Damned hot.” Employing excellent dialogue, wonderful humor and a unique voice, Cotterill has given me one of my new, favorite series. In additional to being a very visual writer, he balances information about Laos in 1997, the paranormal, wonderful mystery and suspense; logic and humor. His characters are delightful. I particularly appreciate that we learn more about the characters with this book. Siri reflects that “Poverty lead him to religion, religion to education, education to lust, lust to communism. And communism had brought him back full circle to poverty. There was a Ph.D. dissertation waiting to be written about such a cycle.” He is a very spry 72, who is trying to deal with his inner shaman and finds out more about his childhood. He is smart, logical and very loyal to his friends. He, and we, also finds out more about Nurse Dtui. There is more to her than is originally known and she goes off on her own investigation. What I love about reading Cotterill is that they are wonderful stories. His writing is so visual and the individual scenes are memorable in themselves. Put together, I find myself captivated by the combination of the characters and the plot. I never know where the story is going next but thoroughly enjoy every step of the journey. This is the second novel of the series featuring Dr Siri Paiboun, the septuagenarian national coroner of Laos. In this engaging mystery, Dr Siri has a number of puzzles to solve with the assistance of his unlikely team of colleagues and friends. Oh, and some help from the spirit world as well. The communist regime of Laos brings its own flavour to proceedings. From the ingenuity of making casts of teeth marks when plaster is not available and the identification of government workers through the existence of ‘triplicate syndrome’, this story engages and amuses. I really enjoy the humor and irony of this mystery series. The characters are engaging and it is fascinating to read about Laos in the 70's and the challenges that the national (ie only) coroner faces on a daily basis. Everything from oppressive bureaucracy, lack of chemicals, limited resources (for example, the lab has one camera and is allowed 4 photos per "guest"---they save the last few for weddings, etc. and try not to get the photos mixed up), the fact that all autopsies must take place qu I really enjoy the humor and irony of this mystery series. The characters are engaging and it is fascinating to read about Laos in the 70's and the challenges that the national (ie only) coroner faces on a daily basis. Everything from oppressive bureaucracy, lack of chemicals, limited resources (for example, the lab has one camera and is allowed 4 photos per "guest"---they save the last few for weddings, etc. and try not to get the photos mixed up), the fact that all autopsies must take place quickly as the cadavers are literally on ice, and the overwhelming influence of the communist government that frowns on any determination that a death is from anything other than natural causes. Most of his cases have political overtones and this one is no exception. All of that was enough to get me to 3 1/2 stars. It didn't get any farther with me because the main mystery (there are usually several in these stories) is so far fetched that I just found it to be rather silly. Others may disagree, and I fully intend on continuing with the series because I am still enjoying these characters and their strange world. After The Coroner's Lunch, I was really looking forward to this book, but it didn't hold up as well. Sure, most of the best characters were back, but this time I found it too heavy on the supernatural, with extended sections that really challenged my sense of plausibility. The plot also lacked the strong forward movement of the first book, perhaps because it didn't have as much sleuthing. There were even times well into the book when I found myself only somewhat interested and it was easy to put After The Coroner's Lunch, I was really looking forward to this book, but it didn't hold up as well. Sure, most of the best characters were back, but this time I found it too heavy on the supernatural, with extended sections that really challenged my sense of plausibility. The plot also lacked the strong forward movement of the first book, perhaps because it didn't have as much sleuthing. There were even times well into the book when I found myself only somewhat interested and it was easy to put the story aside from the night. Dr. Siri Paiboun , the National coroner of Laos, returns for his second adventure. He is a widower, in his early 70s, still quite sharp-minded but looking to retire. He is also a shaman, so he has vivid and prophetic dreams and can see spirits lurking in the shadows. Our setting once again, is the People’s Democratic Republic of Laos, mid-70s. A country in transition. The story begins with Siri investigating several mysterious deaths, but the one that truly baffles him, is multiple bodies being found, mangled by a large carnivorous animal, which are not common in this South-Asian country. This is the second book in the series set in Laos in the 1970's. They're supernatural murder mysteries and rather low key but I really dig them. Filled with Thai / Lao humor, spiritual and mystical beliefs, Cotterill's tales are original and filled with quirky characters. And I swear I met most of them while living in northern Thailand myself. His books definitely take me straight back to those hot, dust covered days and I love it. Book 2 of the Siri Paiboun mystery series gripped me in its claws much like the first book, The Coroner's Lunch. The first half of the book moved a little slower than the second half, but I loved that sassy Nurse Dtui played a bigger role than in the first book. The same components of Siri, the disrespected coroner, loyalty amongst co-workers and friends, voodoo and culture are prominent in this book also. I still get a kick out of Cotterill's style of writing. A humor Book 2 of the Siri Paiboun mystery series gripped me in its claws much like the first book, The Coroner's Lunch. The first half of the book moved a little slower than the second half, but I loved that sassy Nurse Dtui played a bigger role than in the first book. He'd honed his machete to an edge so fine, it could slice through communist red tape. This "conversation" takes place when a change of subject is desired, when bored, lags in conversation, or when getting ready to leave. It cracks me up. So off to read book #3 because I can't think of anything else to say about book 2. Hot isn't it? Dr. Siri Paiboun is a 73 year old doctor living in Laos in 1977 after the Communist revolution. He has been appointed as national coroner but spends much of his time solving the mystery of the deaths of his clients. Added to this is that he is the host for an ancient spirit shaman and the fun begins. Mr. Cotterill has written an intriguing mystery with characters that are realistic and entertaining. This is the second in the series and it was at the same level of excellence as the first. As well Dr. Siri Paiboun is a 73 year old doctor living in Laos in 1977 after the Communist revolution. He has been appointed as national coroner but spends much of his time solving the mystery of the deaths of his clients. Added to this is that he is the host for an ancient spirit shaman and the fun begins. I really don't enjoy Magical Realism in fiction, and don't believe in ghosts, spirits, or any other juju in real life. Because of this, I fought like hell against enjoying the 1st book in the series, "The Coroner's Lunch". But once I willed myself into a suspension of disbelief, I was able to enjoy this book. The combined foreignness of life in a deeply impoverished and Kafkaesque communist society with the exoticism of the Laotian setting makes the series fascinating, even if the trade-off is a I really don't enjoy Magical Realism in fiction, and don't believe in ghosts, spirits, or any other juju in real life. Because of this, I fought like hell against enjoying the 1st book in the series, "The Coroner's Lunch". But once I willed myself into a suspension of disbelief, I was able to enjoy this book. This is a fun series focusing on the poor country of Laos, a cynical coroner and his friends, shamans and spirits. In this book a mass murderer who thinks he is a type of tiger, the King makes a short appearance and Dr Siri finds out his nurse Dtui is a lot smarter than he thought. The book did not reach any great heights but for those interested in other cultures and mysteries this is still a worthwhile read. This a re-read for me. I love this series! Mr. A and Mr. B are guests at Dr. Siri Paiboun’s morgue and he is puzzled about their causes of death. The investigation leads him to the nearby Ministry building, and a mysterious chest on the top floor from which he senses a great deal of energy. Meanwhile, bodies, very mangled bodies with teeth and claw marks, have been coming to. The marks are too big to have been made by any of the natural predators that inhabit the area around Vientiane. At first, he speculates the culprit may be a bear, a Mr. A and Mr. B are guests at Dr. Siri Paiboun’s morgue and he is puzzled about their causes of death. The investigation leads him to the nearby Ministry building, and a mysterious chest on the top floor from which he senses a great deal of energy. Meanwhile, bodies, very mangled bodies with teeth and claw marks, have been coming to. The marks are too big to have been made by any of the natural predators that inhabit the area around Vientiane. At first, he speculates the culprit may be a bear, a poor creature that had been kept in a cage on the grounds of a temple. Further investigation suggests a recently released prisoner who suffers from delusions that he is — a weretiger? And then Siri’s assistant, Dtui, disappears and he is very much afraid that she may be the weretiger’s latest victim, unless he finds her in time. 2nd in the Dr. Siri Paibon, national coroner of Laos series. It isn’t a Dr. Siri book if there weren’t weird deaths in the People’s Democratic Republic of Laos of 1977. Two men have been mysteriously killed on the same bicycle and it’s hard to figure out how exactly that could have happened. Then other mysterious deaths occur, and fear is about that a large, vicious animal--or worse--is preying on the countryside. Of equal significance, Dr. Siri discovers that he has 33 teeth (instead of the usual 32), definitely marking him as a shaman (which he already knew). There is a light-heartedness to the series that makes it fun to read. The cast of characters is unusual and interesting: Dr. Siri himself, Nurse Dtui (one of his assistants), Mr. Geung (his other assistant who has Down’s Syndrome), Civilai (his best friend), Phosy (a nosy police investigator). And more. What elevates this from fluff to medium-weight is the amount of information about Laos--both its culture and the operation of the country under the Communist Pathet Lao regime. this alone would make the books worth reading. The mysteries are enjoyable, and there’s no problem about tying up loose ends when you can call on the spirit world to help you. I really liked the style of Mr.Cotterill... lovely phrases and sentences, adequately sprinkled with humour and irony. In my opinion, these books border on what we call literature and definitely much more than just a detective story. The backdrop of the stories is Laos, a country less known and even more so in English writing. The period is ‘70s, the aftermath of the Vietnam war. The challenges our hero, the national coroner faces in his daily life in the communist ruled Laos, makes fascinating re I really liked the style of Mr.Cotterill... lovely phrases and sentences, adequately sprinkled with humour and irony. In my opinion, these books border on what we call literature and definitely much more than just a detective story. The backdrop of the stories is Laos, a country less known and even more so in English writing. The period is ‘70s, the aftermath of the Vietnam war. The challenges our hero, the national coroner faces in his daily life in the communist ruled Laos, makes fascinating reading. I have been reading a lot of Detective stories of late...and I have to confess, while others may disagree, that I liked Colin Cotterill and his protagonist Siri Paiboun, much better than many illustrious authors and books, including Donna Leon and Elizabeth George. I did find the ending of this particular book to be a bit far fetched spiritual interventions notwithstanding. But I enjoyed the characters the setting and the thoroughly enjoyable writing style. This was my first Siri Paiboun book and certainly would certainly not be my last...I am quite hooked! A very compelling story presented in a pace slow enough to familiarize yourself with the characters, their culture, beliefs and the country it takes place but fast enough to keep the plot interesting and the desire to solve the mystery. I like Dr. Siri Paiboun, a feisty and independent 72 year old doctor-turned-national-coroner (not his choice) who doesn't always conform to the party line in newly Communist Laos in the 1970s. I like that spirits communicate with him, although he's not always comfortable with that. And I love reading about the time and the culture. Even when all of it seems a bit over the top as in this 2nd book of the series. "Quirky, exotic and winning" and " Unpredictable ... Tragically funny and magically sublime." Yep, all of that, and more. I look forward to the next in this wonderful series. Colin Cotterill was born in London and trained as a teacher and set off on a world tour that didn't ever come to an end. He worked as a Physical Education instructor in Israel, a primary school teacher in Australia, a counselor for educationally handicapped adults in the US, and a university lecturer in Japan. But the greater part of his latter years has been spent in Southeast Asia. Colin has tau Colin Cotterill was born in London and trained as a teacher and set off on a world tour that didn't ever come to an end. He worked as a Physical Education instructor in Israel, a primary school teacher in Australia, a counselor for educationally handicapped adults in the US, and a university lecturer in Japan. But the greater part of his latter years has been spent in Southeast Asia. Colin has taught and trained teachers in Thailand and on the Burmese border. He spent several years in Laos, initially with UNESCO and wrote and produced a forty-programme language teaching series; English By Accident, for Thai national television. “May I ask how your revolution's going?